Friday, February 3rd, Holyoke experienced a mandatory sick day! Due to the high number of students and staff with influenza and respiratory illness, Holyoke School District did not have class last Friday. Extracurricular activities were restricted to only varsity games. Over the following weekend, Holyoke staff disinfected the building. We were not the only school affected by illness. Merino, Sterling, and Caliche have all experienced increased cases of illness as well, namely influenza and mono. 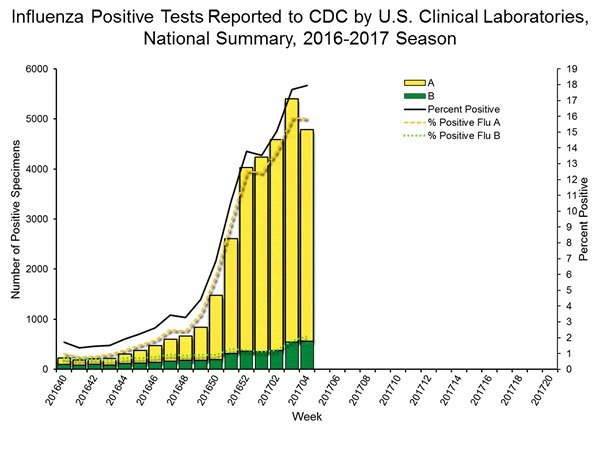 Across the United States, the Center for Disease Control claims that there has been an increased number of flu cases this past month. Hopefully this week everyone stays healthy. Remember: wash your hands, cough into your elbow, and drink plenty of water! Image credit: Center For Disease Control.